As we prepare to look ahead at Bethune-Cookman’s Week 3 matchup with FBS opponent Florida Atlantic, let’s first reflect back on a few things that deserve an “All Hail” from the Wildcats’ impressive road win over Southland Conference foe Southeastern Louisiana. ALL HAIL Larry Brihm and the passing offense! Brihm finished the evening 25/39 for 354 yards and 2 touchdowns through the air. Brihm also added a 1 yard rushing score which proved to be the game winner with 6:04 remaining in the 4th. The performance was good enough to earn the senior quarterback MEAC Co-Offensive Player of the Week honors. Senior wide out Jawill Davis and junior Keavon Mitchell both eclipsed the 100 yard receiving mark. Davis registered 7 receptions for 138 yards and 1 TD while Mitchell recorded 6 grabs for 125 including a 47 yarder on the Wildcats opening drive which set up a Brihm to Anthony Cruz 11 yard hook up for the game’s first score. ALL HAIL the BCU secondary. Trevor Merritt, Diquan Richardson and Elliott Miller reinforced their “no fly zone” moniker by each picking off a pass in Saturday’s contest. 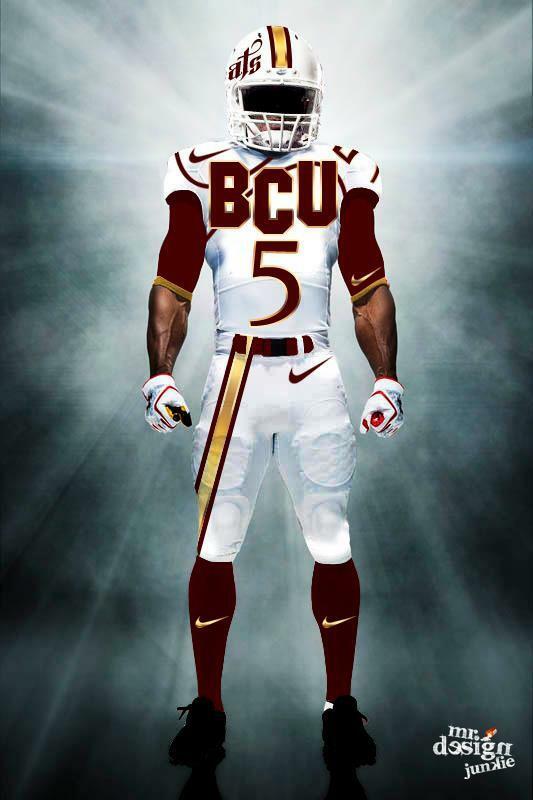 The BCU secondary locked down the SLU receivers and permitted a pedestrian 93 passing yards on the evening. Defense….Defense- It wasn’t just the secondary who impressed on the defensive side of the ball. The entire squad deserves an ALL HAIL Salute! The Wildcat D only surrendered one touchdown on the evening. The other SLU TD came on a 92 yard kickoff return (#fixthat). Yogi Jones unit came up with several huge stops including the 3 picks by Merritt, Richardson and Miller and by limiting the Lions to a field goal after turning the ball over on its own 9 yard line. The biggest defensive stand came in the final minutes of the contest when the Wildcat D kept the Lions out of the endzone with 1:27 remaining and preserved a 28-23 win. Familiarize yourself with the name Uriah Gilbert. The 6’3”, 325 pound freshman, hailing from Ocala’s Trinity Catholic High School, helped control Southeastern’s inside rushing attack. Gilbert finished the contest with 7 tackles (including 1 for a loss). Gilbert has a lot of the same qualities as did former Wildcat DT Demarcus Womack. Linebacker Alexander Morales paced BCU with 9 tackles. Speaking of Southern Hospitality. Big ups…check that…ALL HAIL Southern University for allowing Terry Sims and his squad to use their facilities this week because of travel delays associated with Hurricane Irma. Thanks for the HBCU love and hospitality. No ALL HAILS to the three turnovers committed by the offense or the 14 penalties for 132 yards collected by the squad. If the Wildcats can address the turnover and penalty issues adequately, an upset win over next week’s FBS opponent FAU is not out of the question. The contest gets underway at 6:30pm at FAU Stadium in Boca Raton. You can join us in supporting the Fighting Wildcats by hopping on the HailWildcats.com Fan Bus. Click here for more details.